We have a selection of new Toyota Land Cruiser models near Laconia, New Hampshire. 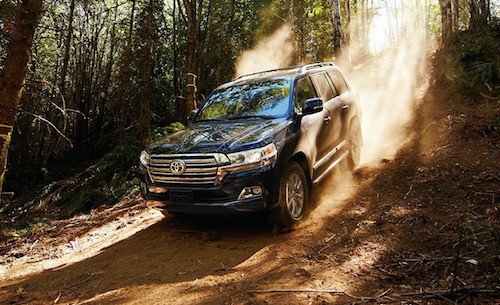 Loaded with convenient technology, safety features and plenty of room for passengers and cargo, the Land Cruiser is the epitome of luxury SUVs. Browse our new and used Toyota Land Cruiser inventory online and see MSRP, photos and vehicle details. We usually have a nice selection of Certified Pre-Owned Toyota Land Cruiser and these “like New” vehicles are offered at remarkable savings. Expert Toyota financing and leasing is available in our auto finance center. We are here to answer your questions and help you find dealer specials and factory incentives that will reduce you monthly payments and save you money. We invite you to visit our showroom, meet our team and test drive a Toyota Land Cruiser near Laconia, NH.